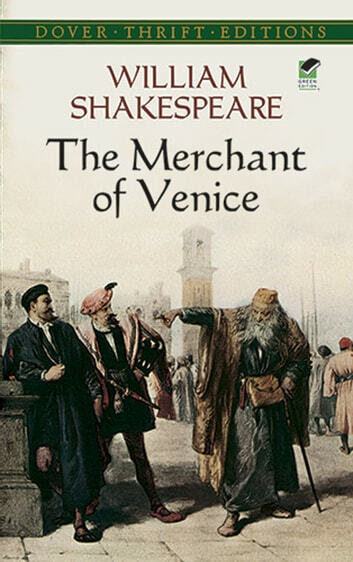 The Merchant of Venice is an intriguing drama of love, greed, and revenge. At its heart, the play contrasts the characters of the maddened and vengeful Shylock, a Venetian moneylender, with the gracious, level-headed Portia, a wealthy young woman besieged by suitors. At the play's climax, Shylock insists on the enforcement of a binding contract that will cost the life of the merchant Antonio — inciting Portia to mount a memorable defense. In this richly plotted drama, Shylock, whom Shakespeare endowed with all of the depth and vitality of his greatest characters, is not alone in his villainy. In scene after scene, a large cast of ambitious and scheming characters demonstrates that honesty is a quality often strained where matters of love and money are concerned. 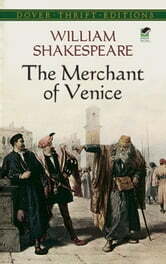 The gravity and suspense of the play's central plot, together with its romance, have made The Merchant of Venice a favorite of audiences, and one of the most studied and performed of Shakespeare's plays. It is reprinted here from an authoritative text, complete with explanatory footnotes. The Vision Of Paradise, Part 1.